Worship that lifts your soul. One of the highlights for many who attend the assembly is the worship. Musicians of professional caliber, speakers of high quality and special experiences envelope the congregation with a sense of God’s presence and call. Worship planners offer varieties of expression and some may be just the thing to freshen your own faith and perhaps take home to try. Stories that touch your heart. We love our stories and General Assembly is a place full of stories. There are the biblical stories retold in worship and song; the stories of sisters and brothers who have overcome adversity; the stories of distant lands whose people are our family; the stories of the work done on our behalf by the general ministries of the Church; and your own story as you are invited to share in learning communities. Educational Resources to assist your congregation in ministry. Learning is an integral part of General Assembly. Besides the preachers that will open your mind to new understandings in worship, there are plenty of other opportunities to learn. In Des Moines, we will have workshops and classes that will include both inspiration and practical topics. Conversations that stretch your mind. It is exhilarating to be in worship with literally thousands of Disciples, and energizing to gather new ideas and insights from speakers and learning communities, so we think you’ll be glad you came. Messages that call you to action. In addition to all this, there are special opportunities for youth and children as well as mission projects. These will be added to the website as the time approaches. Connections that remind you that God’s family is bigger than a local congregation. General Assembly is also an opportunity to make connections and build relationships. Whether it is in the exhibit hall at a display or at a special meal event, the staff of the general ministries of the Church make themselves available to talk about your particular question or challenge. You can find out about programs, processes and people that can help your congregation flourish in its mission in your particular situation. All this and more in five short days! To get the latest information about the assembly, join the special General Assembly Facebook group and sign up for Disciples News Service weekly e-letters. Please join Northwood Christian Church for one of the most beautiful Candlelight Services in Indy. 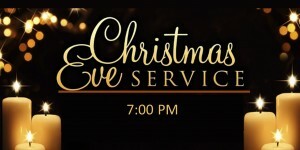 Northwood’s own Pastor Heath Jones will deliver our Christmas Eve sermon. Our service will be filled with wonderful hymns accompanied by the beautiful melody of our pipe organ played by Paul Johnson with a special guest brass ensemble. As part of our Christmas Eve celebration everyone in attendance is invited to participate in a disciples tradition of taking communion. 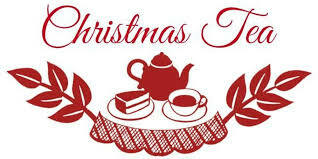 Be sure to join the ladies of Northwood in the Parlor for a long standing tradition of gathering together to celebrate the Christmas season. Previous years have brought the school #70 choir, How to on putting together your own table top center piece & decorating your very own Christmas ornament. It’s always a great time. See you there!